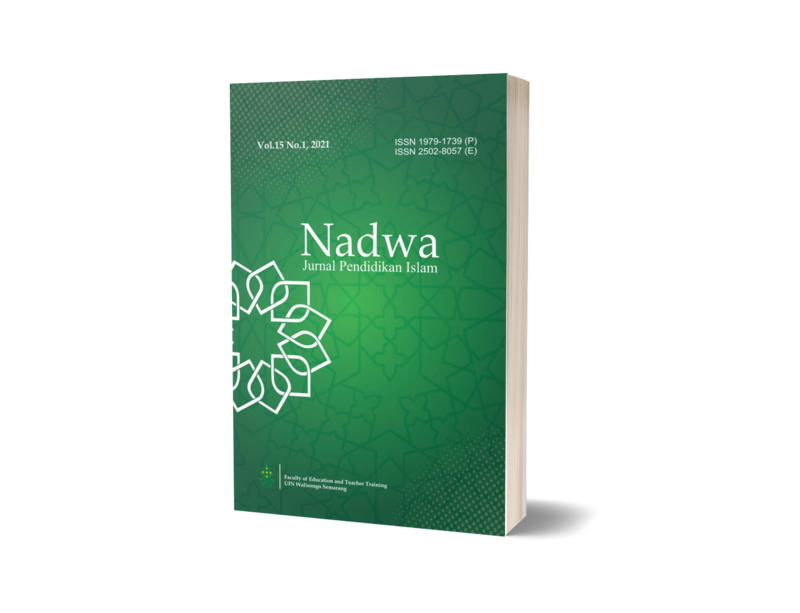 Nadwa: Jurnal Pendidikan Islam (Islamic Education Journal) ISSN 1979-1739 (print), ISSN 2502-8057 (online) is a Islamic education research and article journal. It is published by Fakultas Ilmu Tarbiyah dan Keguruan (FITK), Universitas Islam Negeri Walisongo Semarang. Intended to communicate original researches, methodology and current issues on the subject. The subject covers textual and fieldwork studies with various perspectives: education, psychology, sociology, anthropology and many more. This journal warmly welcomes to articles contributions from scholars of related disciplines. Nadwa: Jurnal Pendidikan Islam has accredited B by Dirjen Ristekdikti, since December 4th, 2017 for five years. Islamic Education and Humanization is a continuous theme consisting of three elements of the formation of the main human character (prophethood) which consists of humanization, liberation and transcendence. Prophetic man is a wise, respectful person, tolerance, responsible and has a spirituality sensitivity in the midst of his social life. Incorrect character formation will have a bad impact, and conversely the formation of good personal character will greatly influence good behavior in adulthood both in personal and social life.